In the murky dawn outside of Wilmington, a British blockade runner painted slate gray for camouflage named Modern Greece made a run for the port. 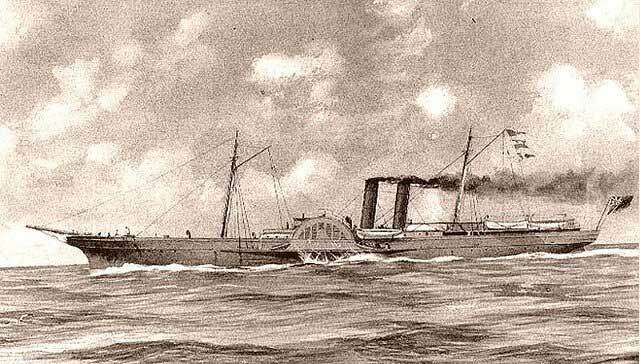 Two Union ships gave chase and once she ran aground outside of Fort Fisher her fate was sealed. The Brits bailed out, while the Union ships pounded the wreck for hours. 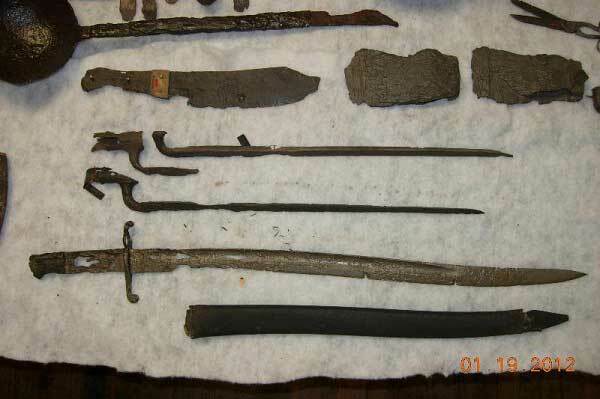 The Confederate guns from Fort Fisher joined in, neither side willing to let the other have the cargo of hundreds of Enfield rifles, bullet lead, cannon and more. The Modern Greece would eventually be joined by 30 others, sunk by the Union blockade around the Wilmington coast. In the next couple of weeks, the Confederates salvaged a huge part of the cargo, among which were four Whitworth cannon, and their range of five miles kept the port open longer than any other in the south. US Navy divers happened upon the wreck in 1962, and since then over 10,000 artifacts were brought up, illustrating how much cargo a ship like that could hold. The Modern Greece wasn't an ideal blockade runner, she was originally built for the timber trade in the Baltic, and with the thought of huge profits from the war in the states, she was converted for that role. But she was kind of big, and not fast enough, and was caught by the Union blockade. The wreck pioneered preservation techniques used with underwater items, in part because there were so many items recovered there were plenty to experiment with. This ship also led to underwater archeology being pursued by the State of North Carolina, and to the creation of laws for the protection of offshore wreck sites. There should be plenty of wreck sites, as over 300 blockade runners were sunk in the Civil War.